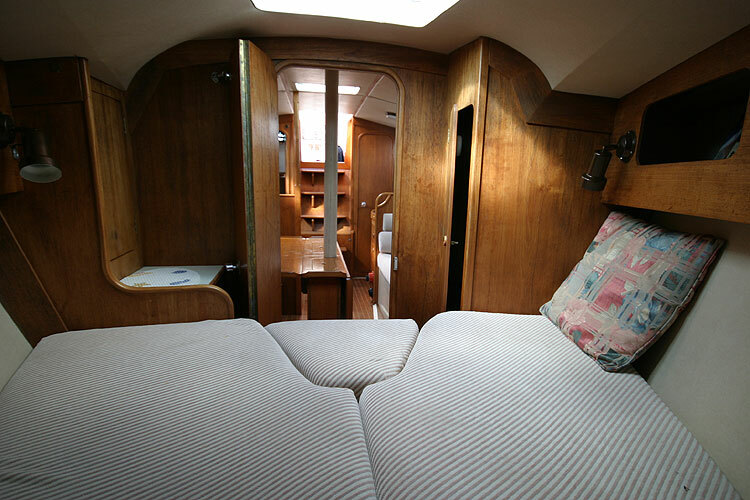 Designed by Bill Dixon. 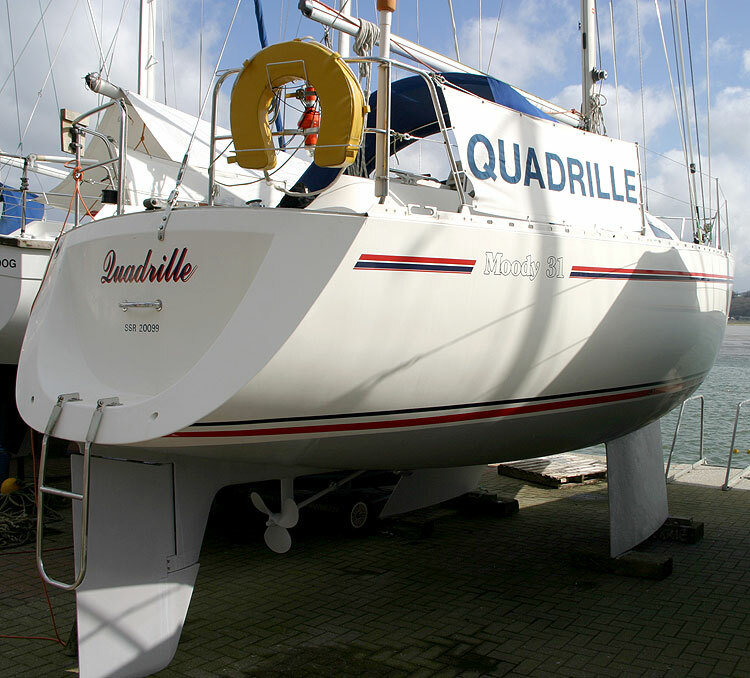 One of the most popular smaller Moodys the 31 was in production for eight years until 1991 with the MkII having a sugar scoop stern. 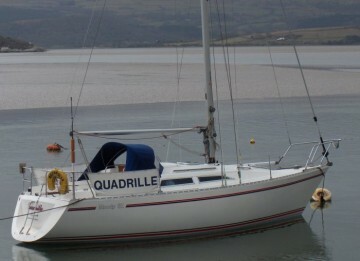 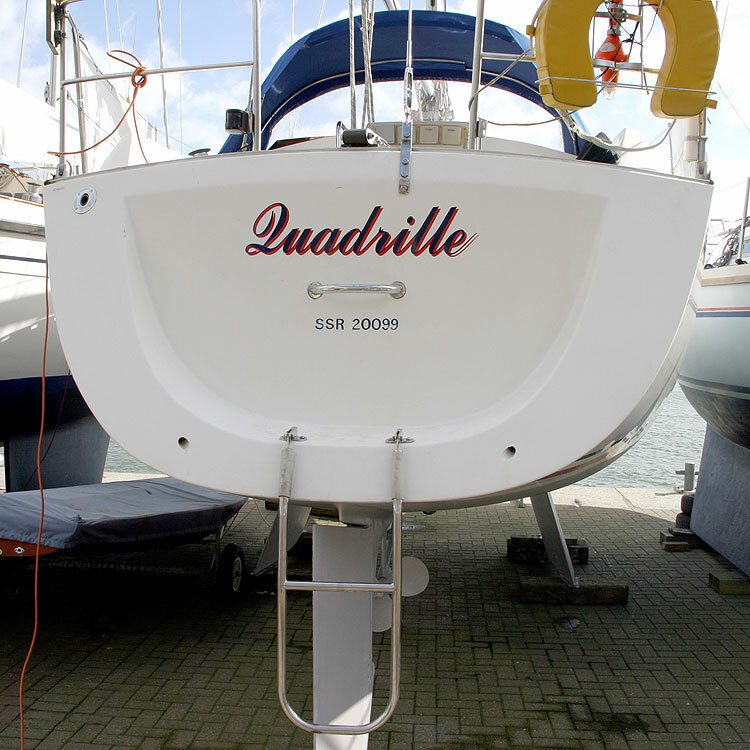 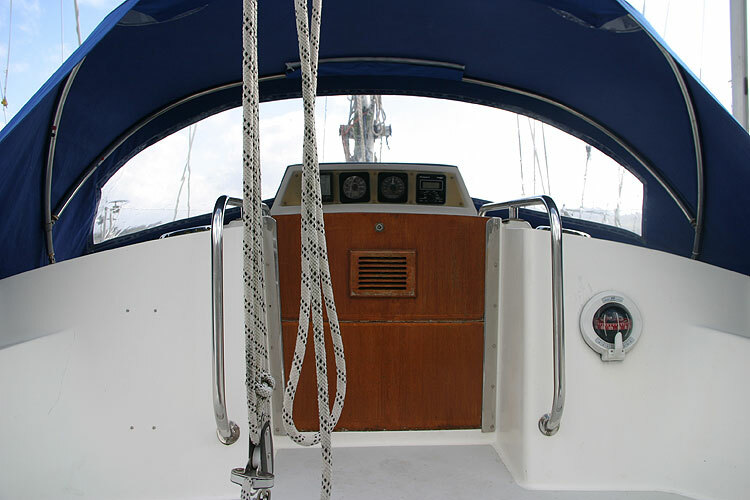 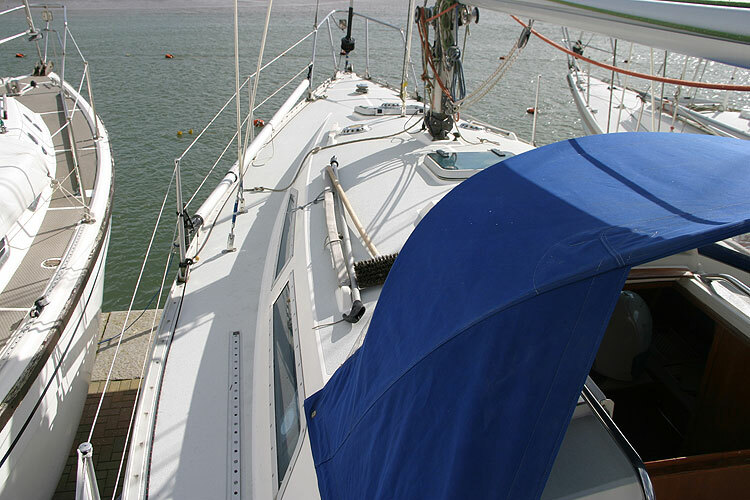 She has all the quality and strength you would expect of a Moody yet has the advantage of shoal draft and bilge keels. 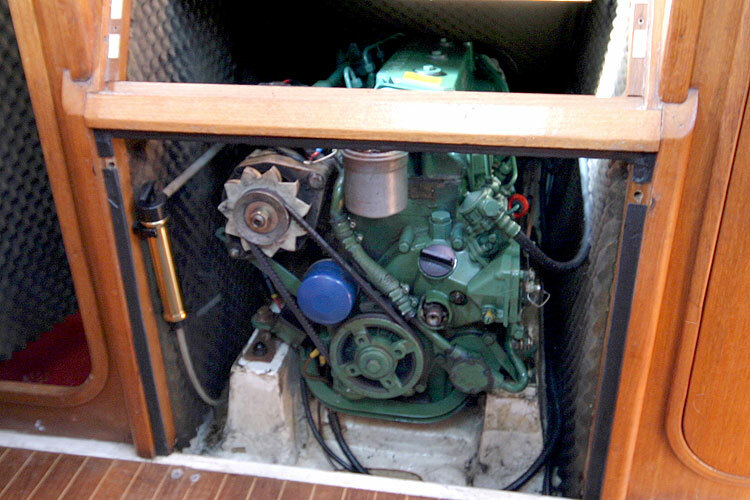 Fitted with the standard tiller steering and reliable Volvo 2003 3 cylinder diesel engine with shaft drive and 3 bladed prop. 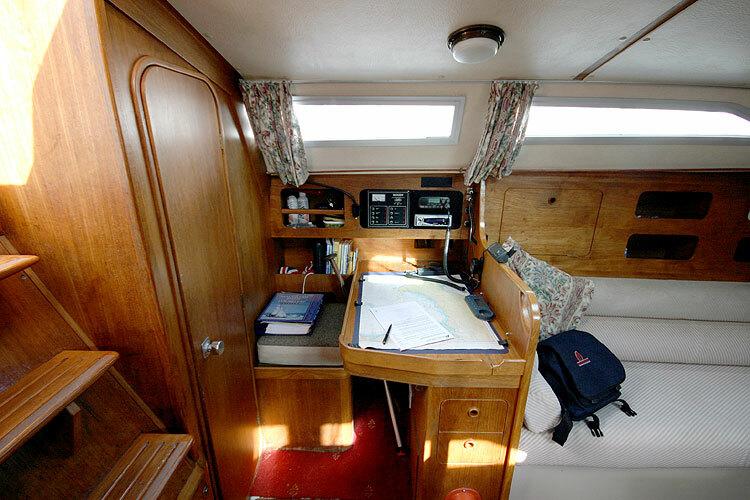 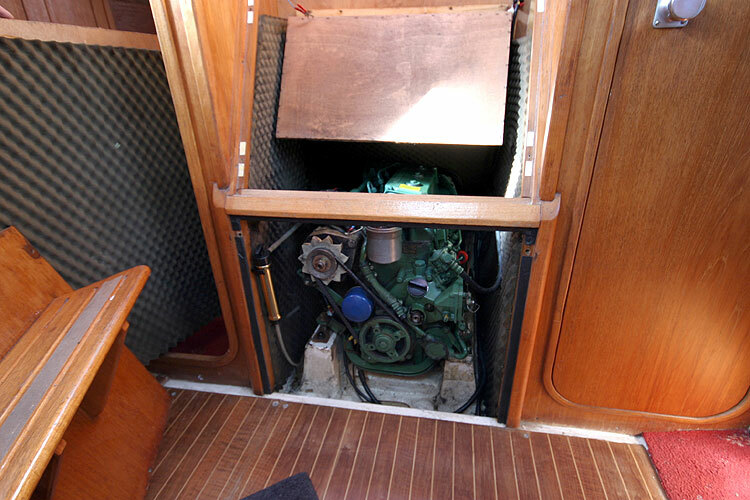 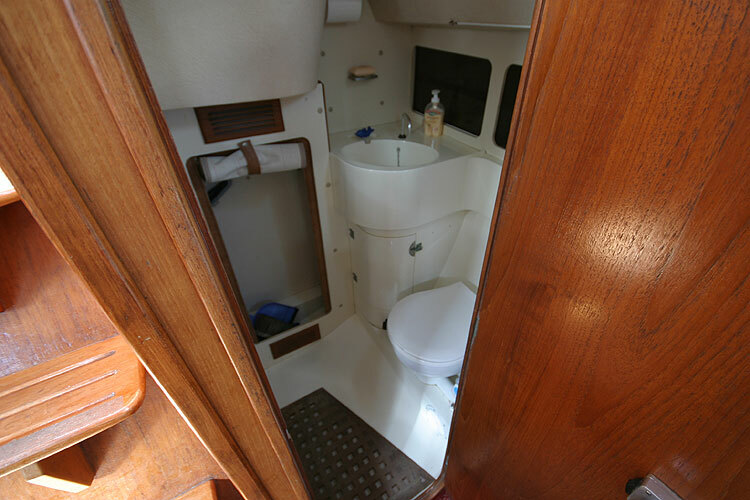 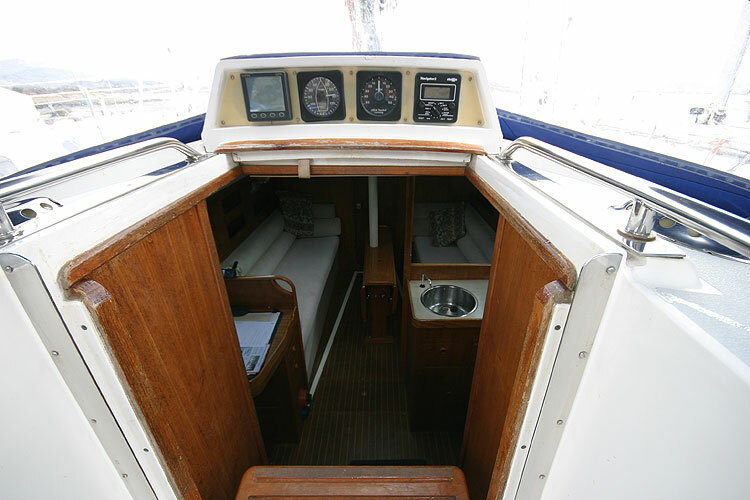 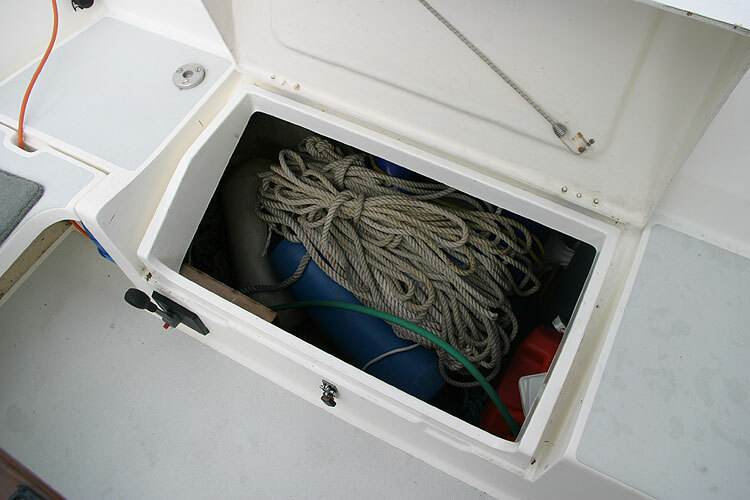 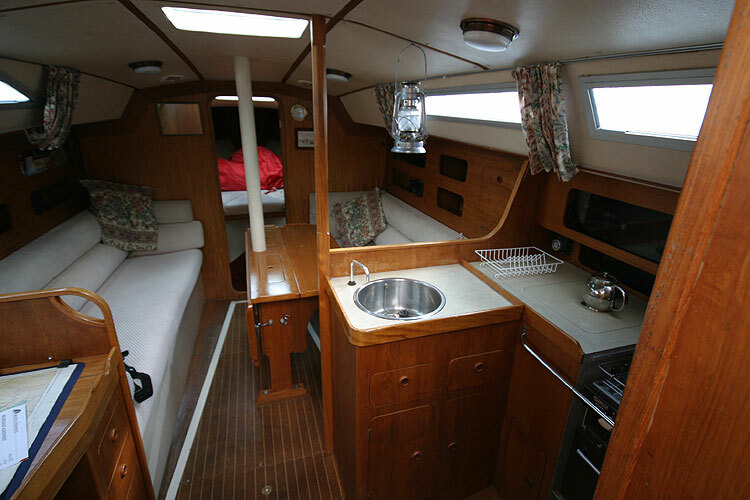 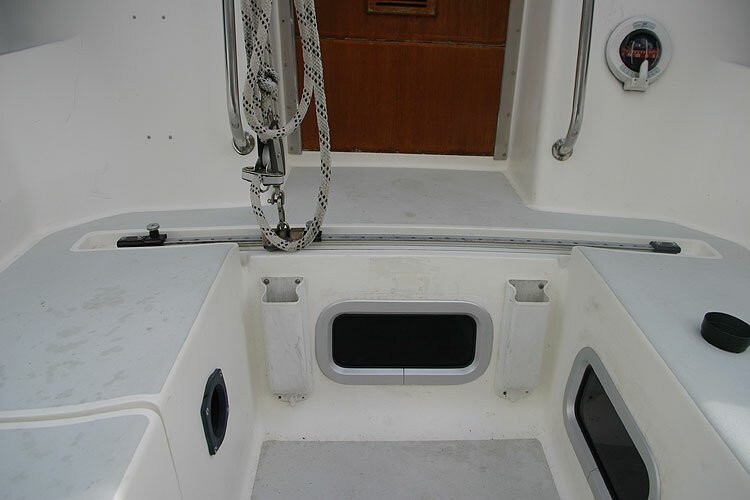 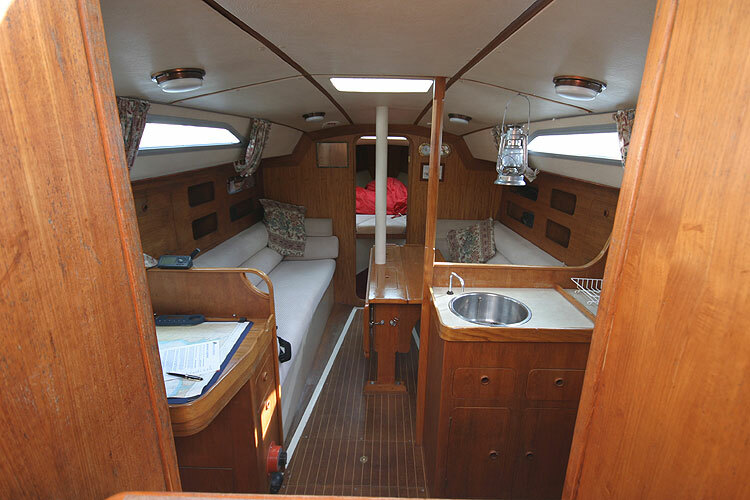 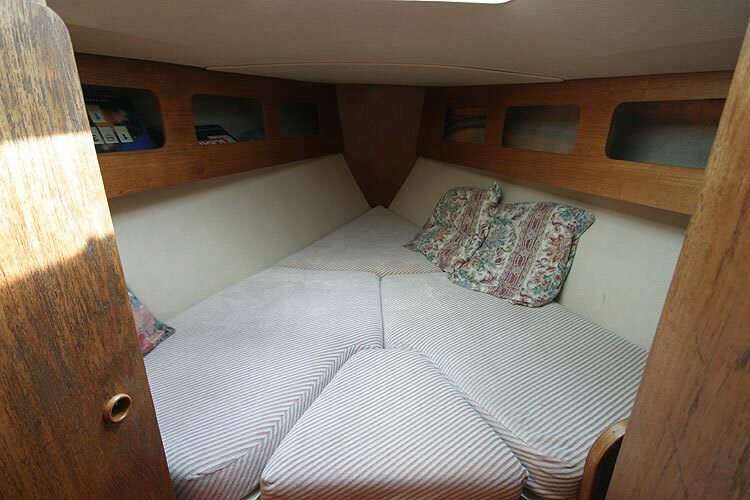 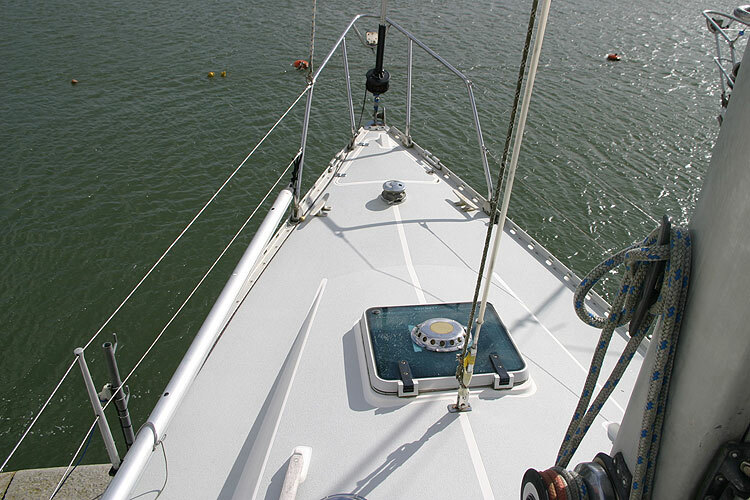 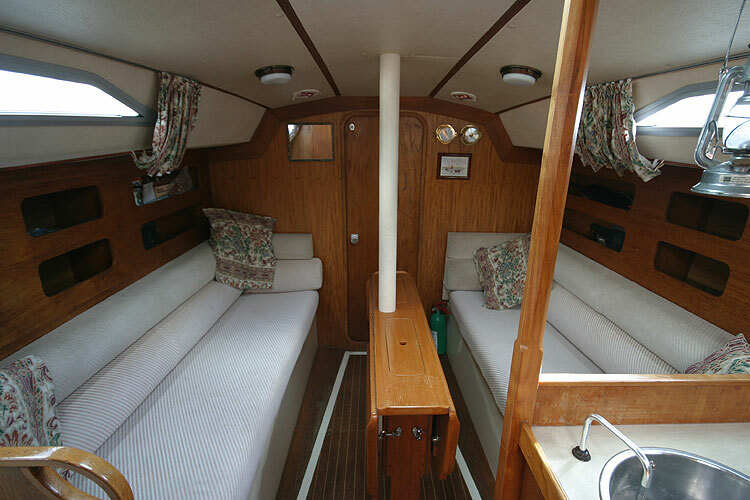 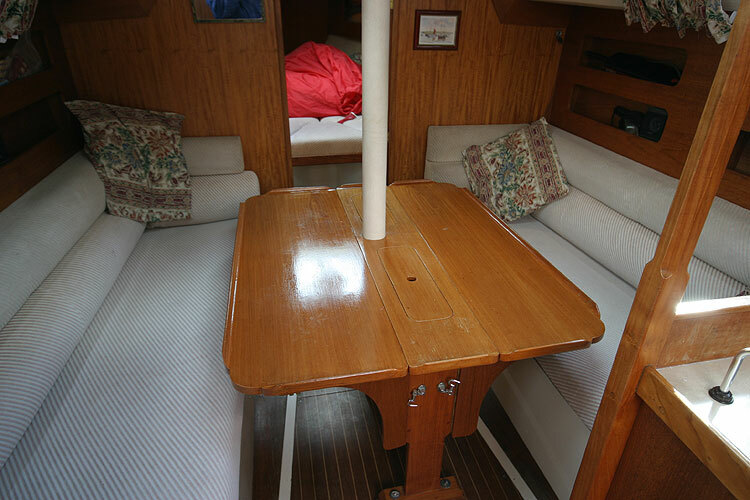 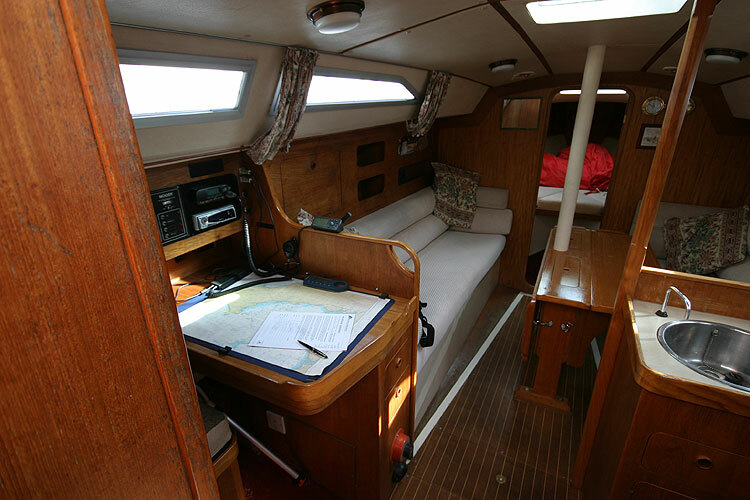 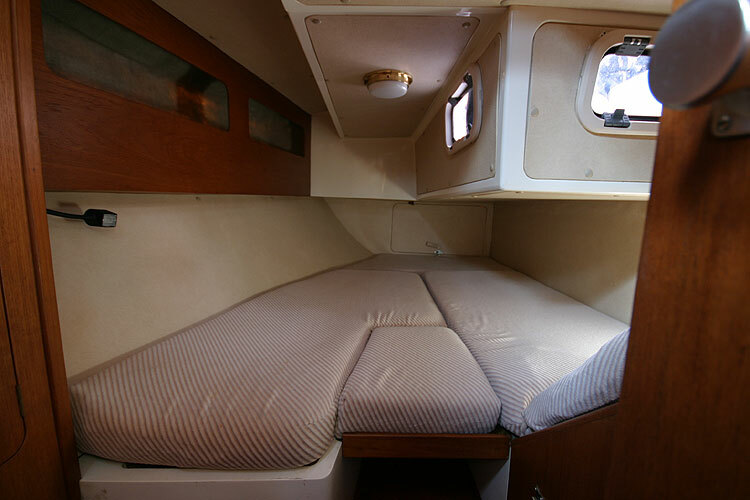 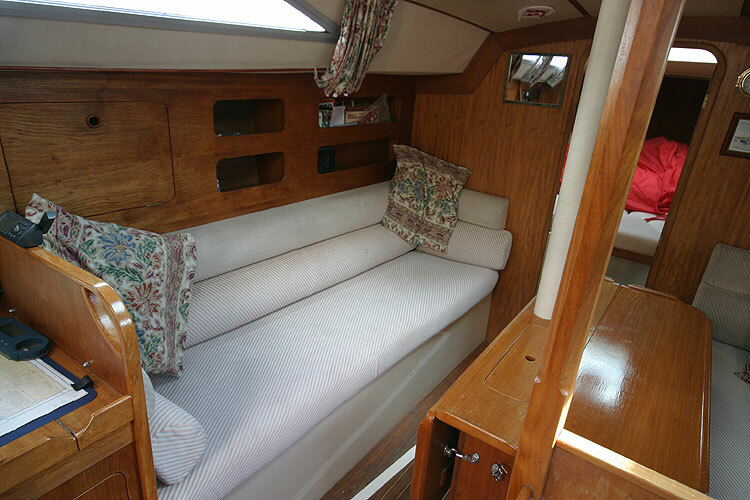 6 berths, forecabin, aft cabin, saloon, heads with wet locker. 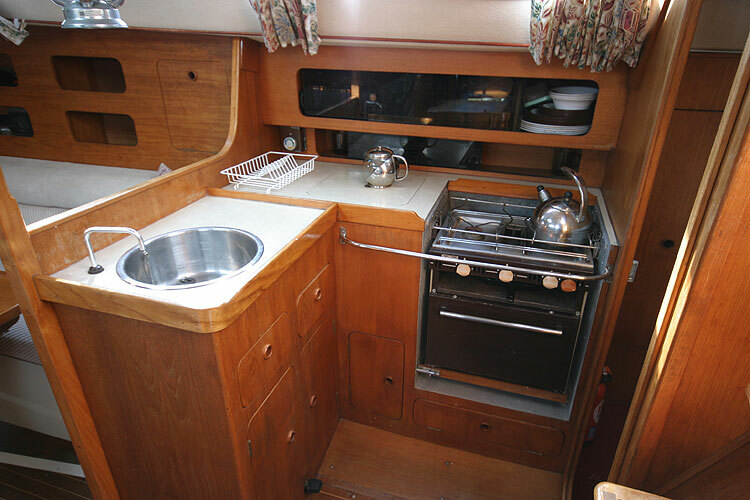 Gimballed gas cooker with 2 rings, grill and oven. 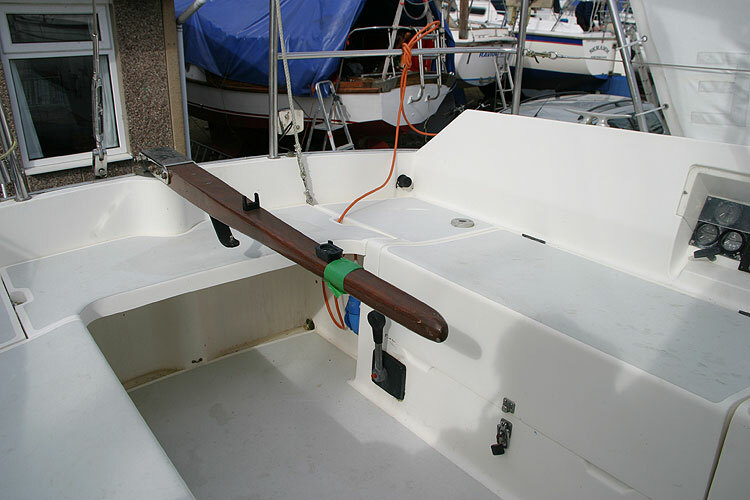 2x110VA 12 v batteries, shore power, battery charging system. 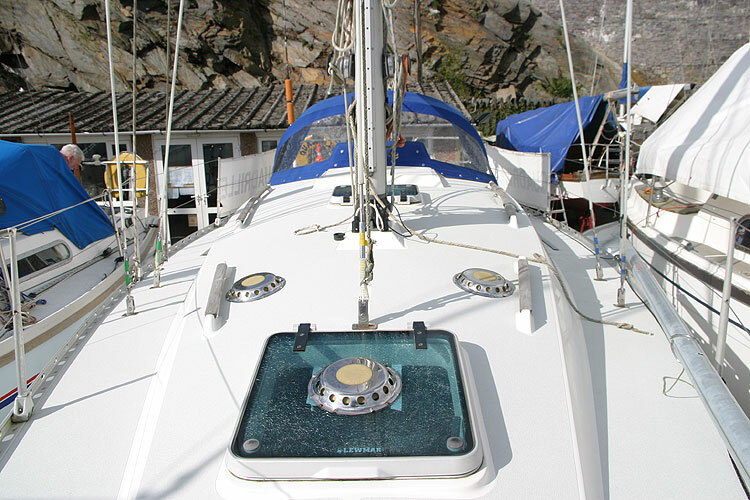 Halyard lubricated stern gland seal. 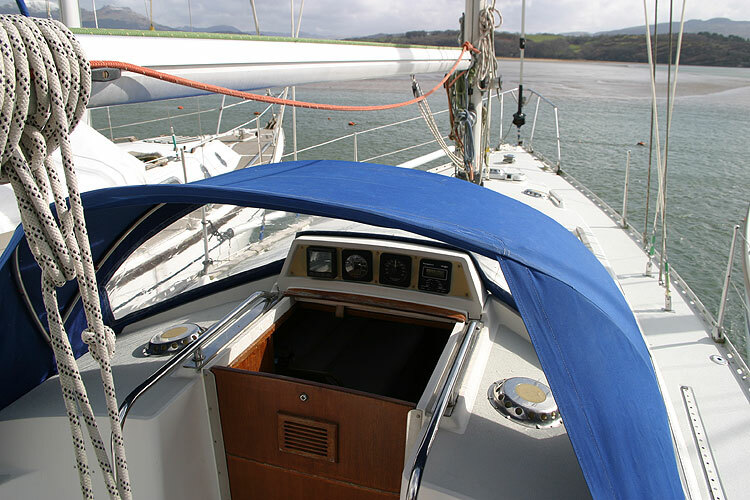 Standing rigging replaced in 2007. 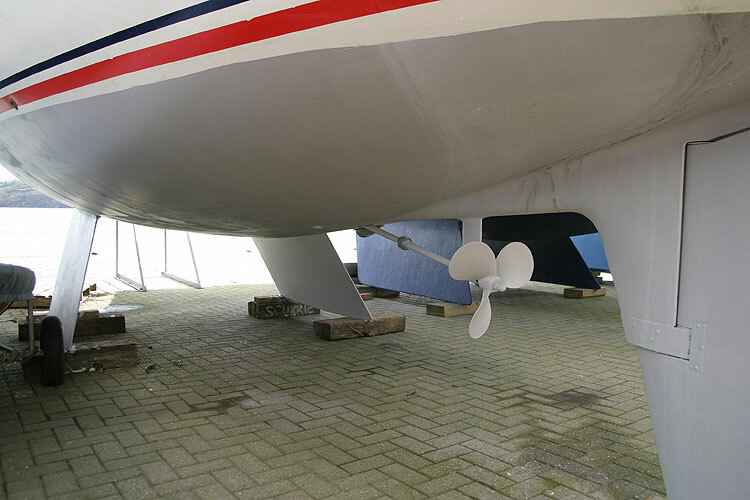 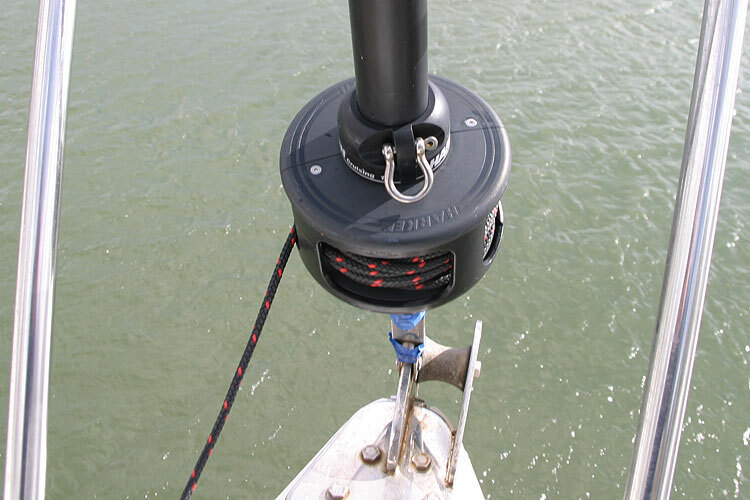 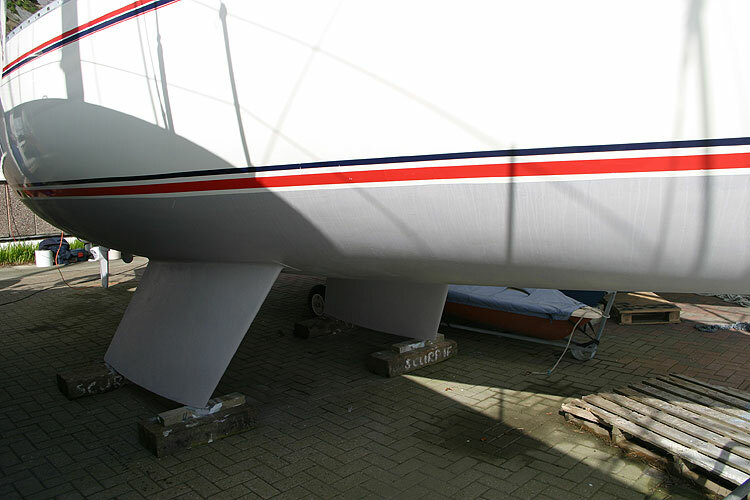 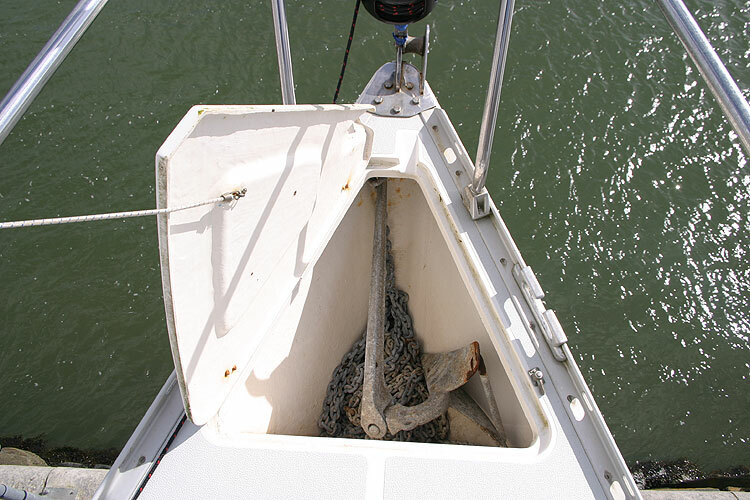 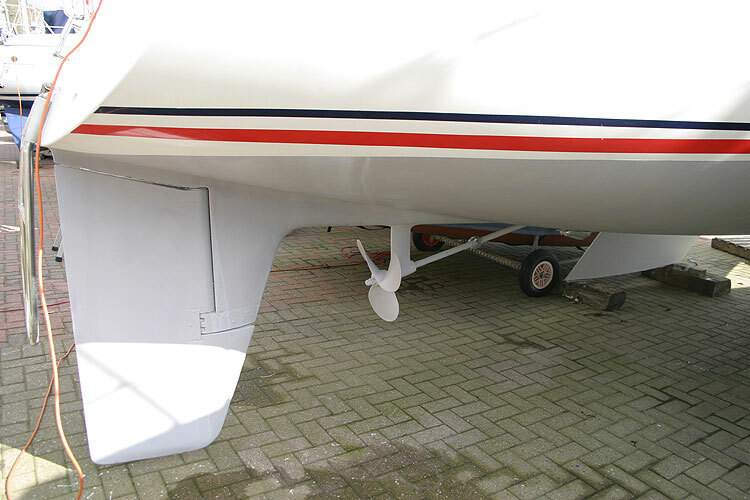 New Harken furling gear fitted in 2007. 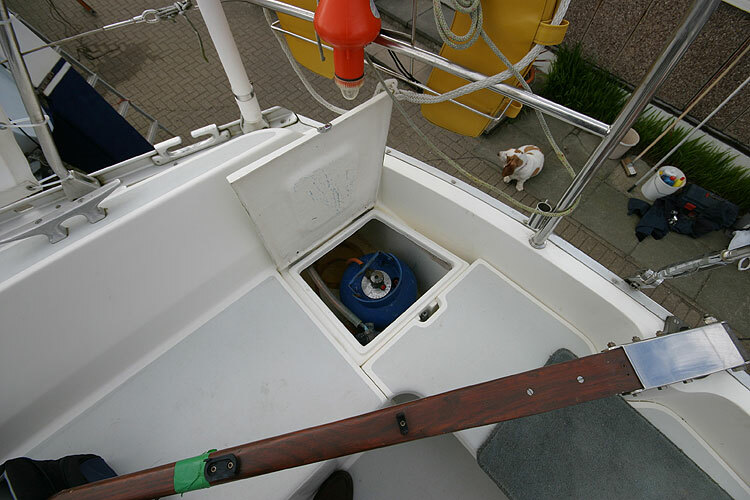 New Depth Sounder, DSC radio and CD player fitted in 2006. 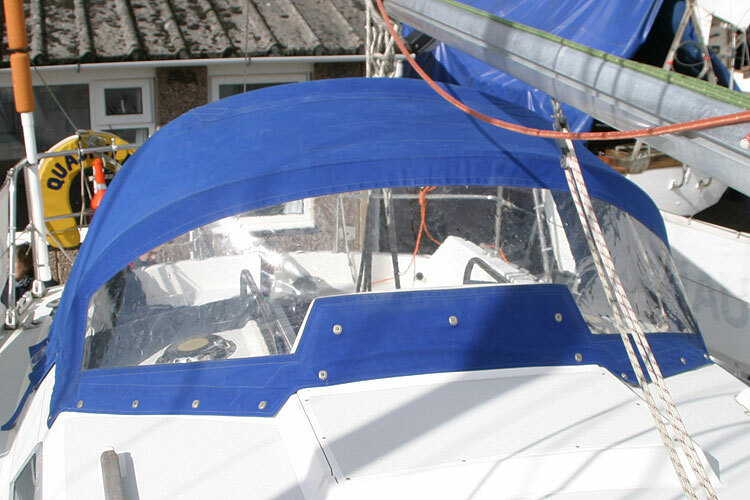 New Spray Hood and Dodgers fitted in 2005. 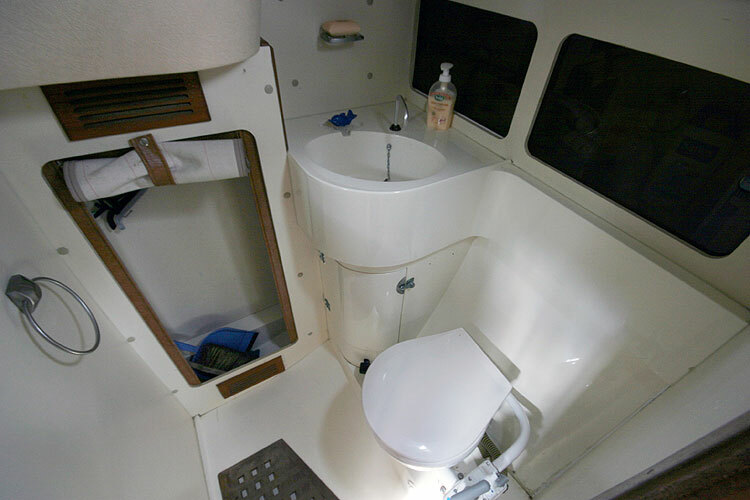 Unfortunately she does not have hot water or a holding tank, but space could be found for fitting if required. This boat is no longer for sale and remains here solely as an information resource for those researching Moody 31 Mk II's.